The pineal gland is an endocrine gland situated at the center of the brain. 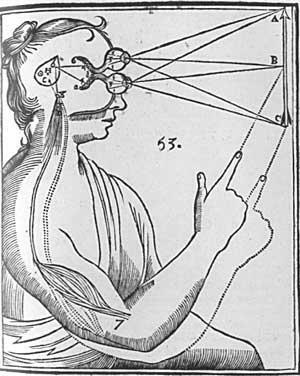 This organ is also known as the “third eye”, “pineal body”, “epiphysis cerebri” and “epiphysis”. The pineal gland is a cone-shaped organ with size similar to that of a pea. Like any endocrine gland, the pineal gland secretes hormone into the bloodstream. Hormone that is produced by the pineal gland is known as melatonin. The pineal gland consists of cells known as pinealocytes that secrete hormone melatonin through capillaries. Melatonin is responsible for metabolism, sexual development and for regulating other hormones in the body. This hormone also supports circadian rhythm of the body which represents the day/night cycle important for sleeping and waking up. Hormone melatonin is released more in the dark and less in the light and because of that we are feeling sleepy when it is dark. Types of activity that disturbs the circadian rhythm can lead to disorders of the pineal gland. Pineal function can be affected by environmental stresses such as abnormal light and dark rhythms, temperature oscillations, radiation, high altitude and magnetic fields. Disorders of the pineal gland are generally caused by abnormal secretion of melatonin. This may happen when a person is exposed to excess light during the night or not enough light during the day. The pineal gland disorder may also occur because of the jet lag or changes in time zones. People who are working in shifts may suffer from disorders of the pineal gland as well because of disturbed circadian rhythm. Poor vision disrupts melatonin cycle as well and in blind people circadian rhythm is often imbalanced because of lack of feedback about beginning of the day and beginning of the night. The pineal gland disorders may occur due to deficiency or excess production of melatonin. In case of melatonin deficiency, insomnia may occur. Apart from that, affected person may suffer from increased anxiety and disturbed immune system. Increased level of estrogen/progesterone ration as well as decreased basal temperature may also result from melatonin deficiency. Overproduction of melatonin may lead to disorders of the pineal gland as well. They include lower blood pressure, or hypotension, decreased levels of estrogen/progesterone ration and poor function of adrenal and thyroid gland. Seasonal affective disorder (SAD) is another symptom of excess secretion of melatonin. This disorder is actually depression caused by short days or minimal sunlight during the winter months. Apart from abnormal production of melatonin, the pineal gland may be affected by tumors such as gliomas, germ cell tumors and pineal cell tumors. Symptoms of these tumors include headaches, seizures, nausea, vomiting, disturbed memory and visual problems. Should I take melatonin for my insomnia? I've been prescribed Beta blockers for Graves! How long before they work?